The name astragalus serves as both a botanical generic name and an English common name for the Chinese medicinal plant known as huang-qi, which is used in numerous Chinese prescriptions. With ginseng (Panax ginseng) it is used as a tonic for fatigue, general debility, lack of appetite, and spontaneous perspiration. Astragalus is especially useful for strengthening the body against viral infections of the respiratory tract and heart through stimulation of interferon production in the body. In combination with codonopsis (Codonopisis pilosula), astragalus is used to strengthen the heart. 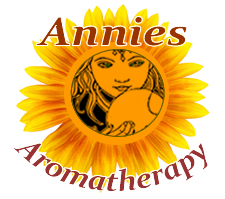 2 Studies show that it has helped cancer patients with weakened immune systems regain normal function. 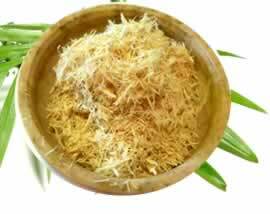 Traditional Chinese Medicine The Chinese knowledge of the astragalus is much older than here in the West dating back at least 2,000 years. In traditional Chinese medicine (*TCM), astragalus is one of the 50 fundamental herbs and is used in numerous Chinese prescriptions in fu-zheng therapy. Fu-zheng refers to treating disease by either enhancing or promoting the defense mechanism or normalizing the central energy. It is considered sweet and mildly warm, tonifying of the qi. Astragalus Side Effects: Non toxic at any dosage. People who take warfarin should avoid astragalus because of the potential for bleeding. A class of high blood pressure medications known as beta-blockers may be less effective when taken with astragalus. The common name "yellow leader" refers to the yellow interior of the root, and the fact that this is one of the superior tonic roots in traditional Chinese medicine. 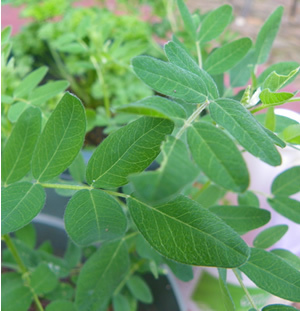 A typical member of the pea family, astragalus has finely divided leaves, small pealike flowers and seed pods, and a sprawling, vinelike stature. Astragalus membranaceous, the species used medicinally, grows up to 6 feet tall and has an appearance similar to licorice, another member of the large Astragalus genus. Some herbalists believe that the North American milk vetch, A. americus has many of the same properties and may even be a wild, medicinal Astragalus. Direct seed after last frost. Scarify seeds to increase germination. Astragalus prefers sandy, well drained alkaline soil, and full sun. Harvest roots in the fall of the fourth year. Astragalus was known in the time of first century Greek physician Dioscorides, and the word itself is even more ancient, deriving from a Greek word meaning "anklebone". Ankle bones were once used as a form of dice, and one conjecture is that astragalus so named because the rattling seedpods sounded like rolling dice.